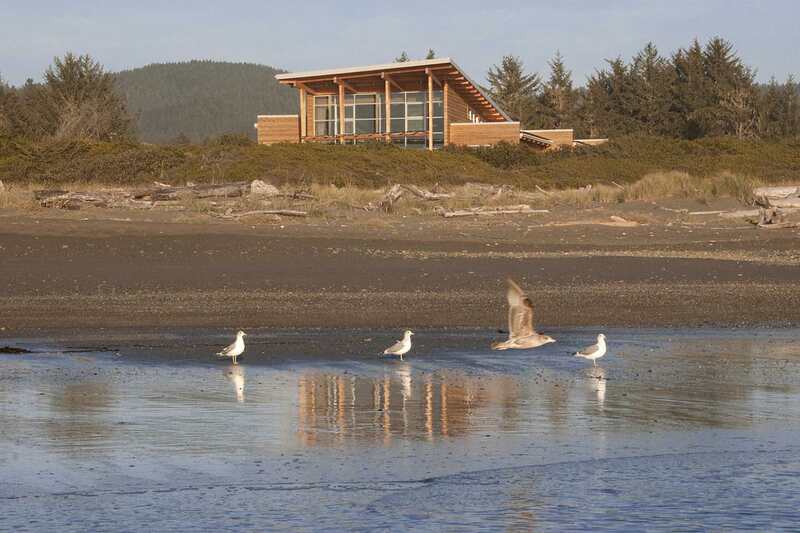 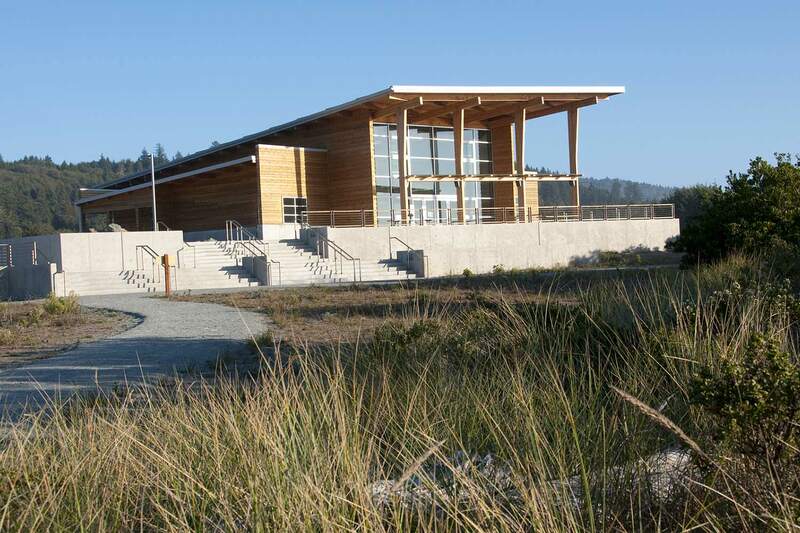 Crissey Field Park and Welcome Center | David Evans and Associates, Inc.
Crissey Field State Park and Welcome Center, a new 40-acre beachfront park between the Pacific Coast Highway 101 and the ocean beach, south of Brookings, Oregon, was carefully designed to fit into the natural landscape and incorporates many sustainable design features. 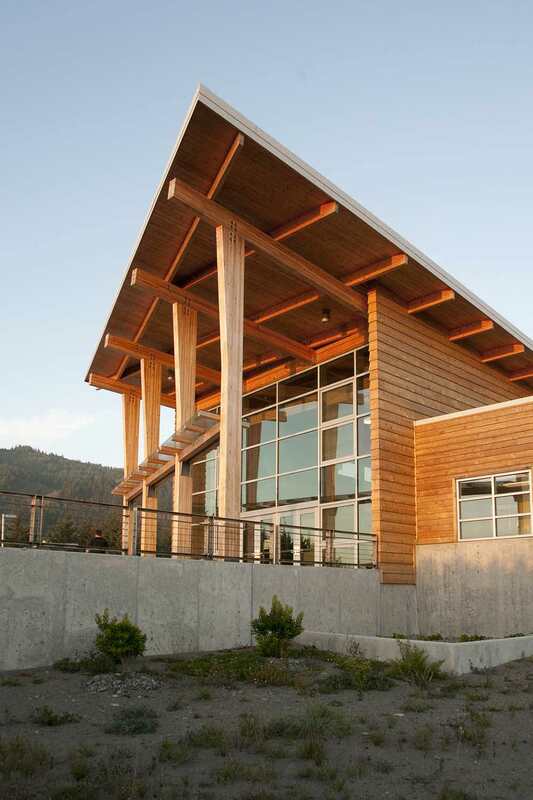 The DEA team applied an integrated systems approach that included programming, planning, permitting, design, bidding, and construction assistance. 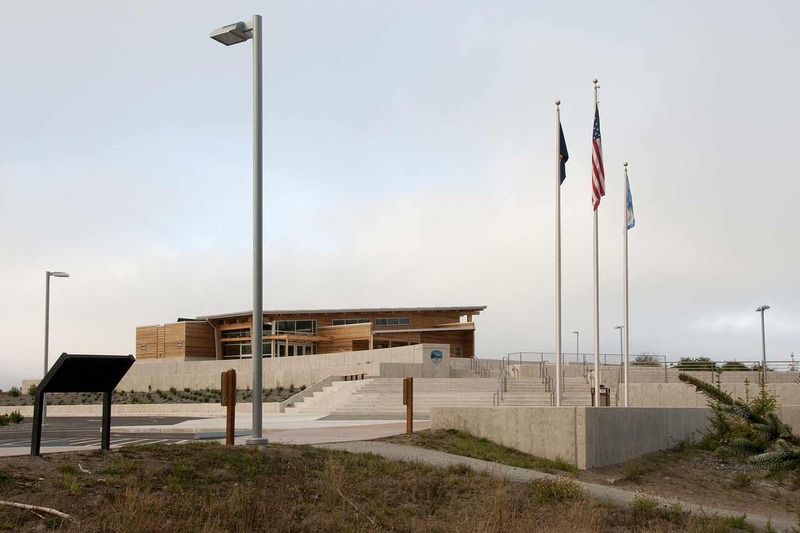 For example, during the initial site meeting, the DEA team saw an opportunity to dramatically change the proposed layout and orientation to take advantage of the views and of environmental mitigation opportunities. 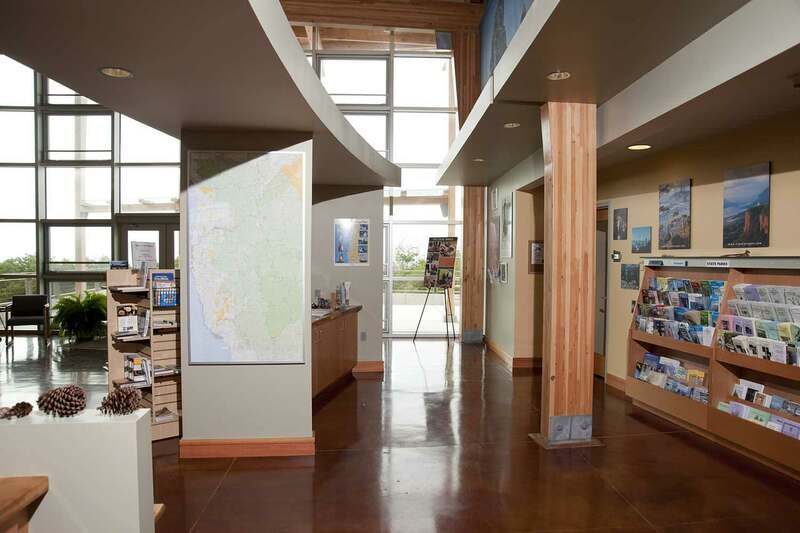 The Welcome Center includes offices for OPRD, U.S. Forest Service and the Travel Information Council, as well as associated display areas, a break room, restrooms, and support spaces. 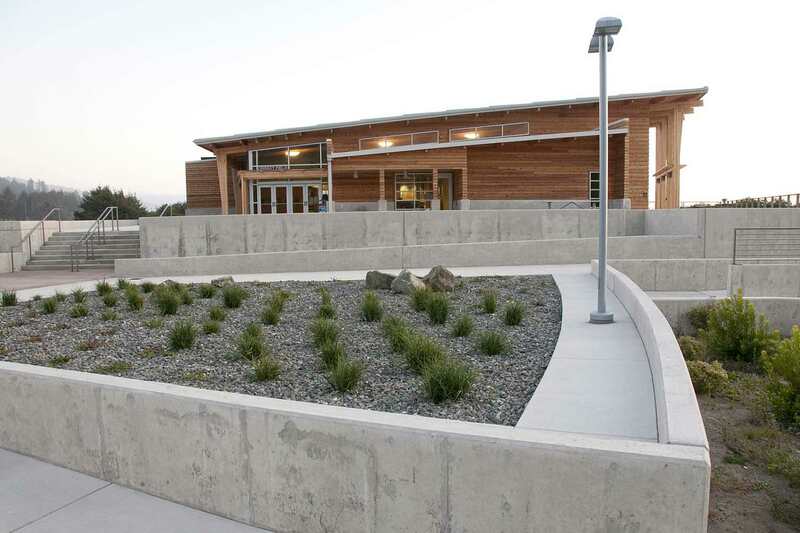 Sustainable features incorporated into the Welcome Center include geothermal radiant floor heat, photovoltaic solar panels, solar hot water, passive ventilation, and natural light as well as treating roof and storm water runoff with natural bioswales. 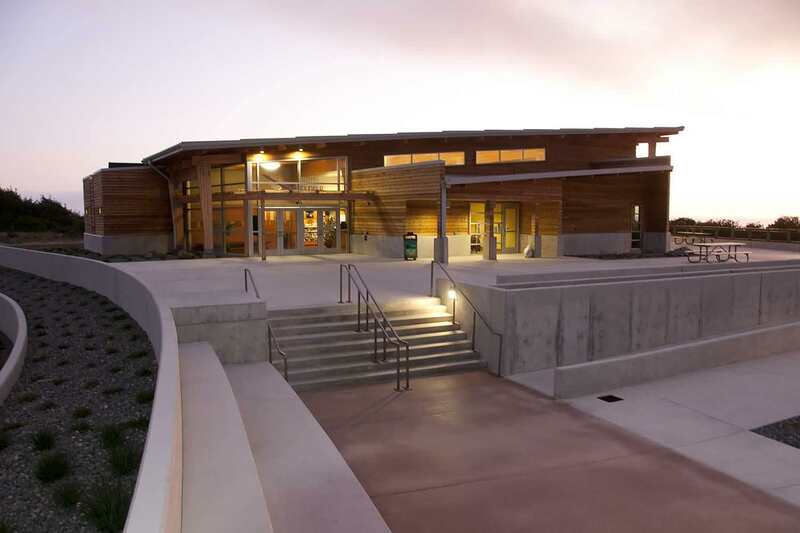 DEA provided project management, architecture, landscape architecture, structural engineering, environmental permitting, civil engineering, transportation planning and engineering, and construction assistance for this project.